Friday night we took the kids…bowling. They had such a ball, let me tell you! Myles has been asking for a while and Friday was finally his lucky day. I had told him we were going somewhere for a surprise. His first guess was Disney World…talk about high expectations! 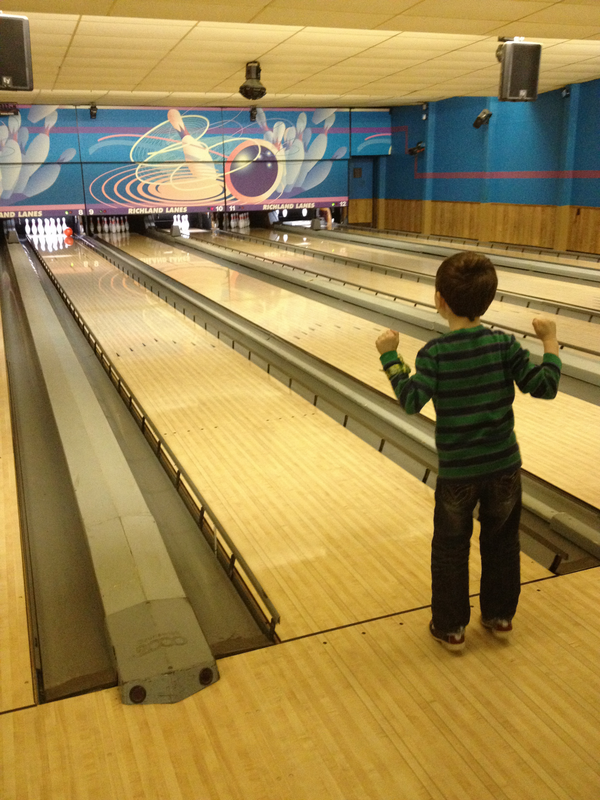 Thank goodness somehow bowling was a close second. Anytime you add special shoes, a ball, and a scoreboard to a situation with a five and a two year old, it adds up to loads of laughs and tons of fun. 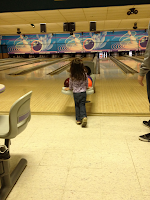 Jillian was convinced that the special shoes were “dancing shoes.” She could jump higher, dance better, and of course, bowl with perfection. Every time it was her turn to go, she would lug her six pound ball to the line (herself of course), drop it, and push it with all her might down the lane. 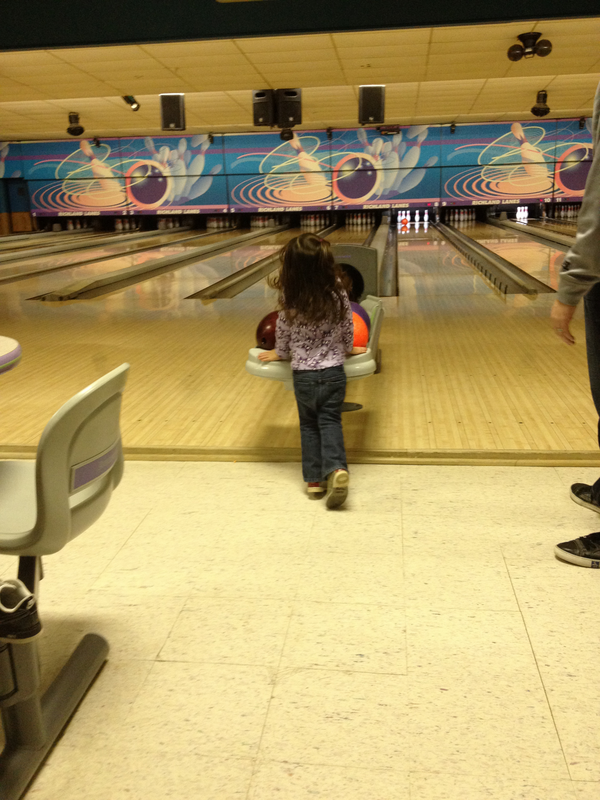 60 seconds later, it would make it down to the pins and she would knock a few down. She wasn’t too concerned about how many fell, it didn’t seem to matter. EVERY time that it was “Mom’s TURN!!! !” I would go and Jillian would cheer. It didn’t matter whether I got one pin down or a strike (okay – I never got a strike, despite the fact that we had bumpers on the lane), she would yell loudly, “Mom, I’m so proud of you! Give me a high-five! You did sooo great!” It was very adorable and I’m so that glad she has learned encouragement from us, but boy did it bring attention to my bowling skills (or lack thereof) to the people around us. I saw a few look down the lane to see nine pins still standing. Man, I love that little girl. 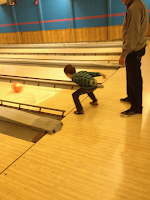 The highlight of the evening was a spare for Myles in the tenth frame. How exciting is it to get a BONUS turn?!? It couldn’t have ended any better for a five year old. Seeing the excitement on his face and in his little voice is truly contagious. We all had a great time. Taking the evening to do something fun together as a family is often a priority for us and is never something we regret.